Let free-light Show You Our Idea of Night Lights! It's dark. Your guests are trying to step to the bottom of your wooden deck stairs, saunter to the end of your dock, or check out your patio. Tricky. Wouldn't it be great if you could mark the path with light for safe and easy passage? 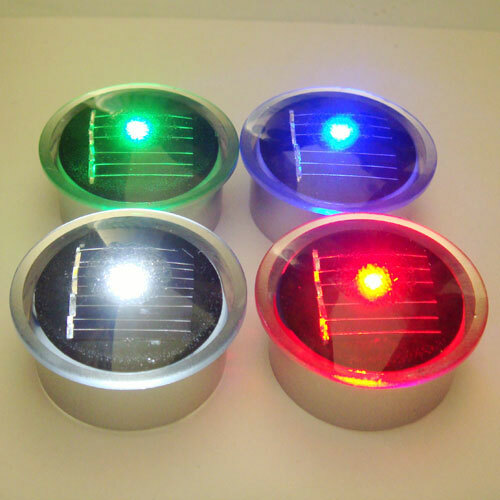 Navigator comes in 3 colours - white, blue and red (sorry, green is no longer available). They are easy to install. Simply drill a 1.375" hole and install the light. The virtual flush fit guarantees no more stubbed toes or sore arches! You'll enjoy 10-12 hours of light depending on sunshine during the day. Four lights per package. 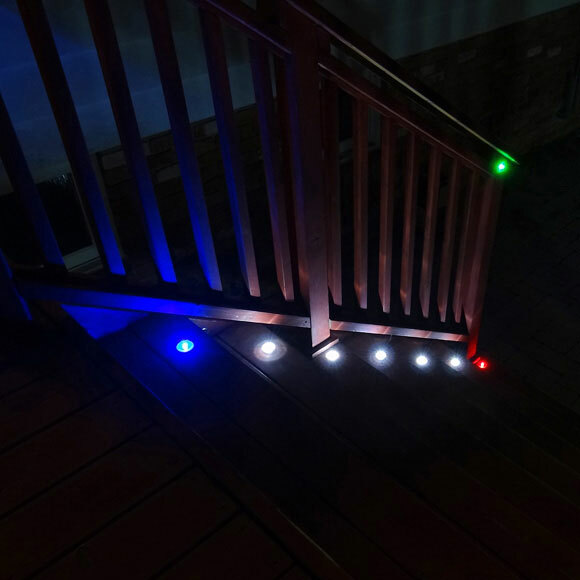 You can learn more about Navigator solar lights for steps and stairs here. Our second version of a night light is our Stand Alone SPOTLIGHT - an all night light. SPOTLIGHTis a self contained, all night solar spotlight delivering lots of light wherever you need it. The free-light SPOTLIGHT has been the most requested new product... and now it's available. 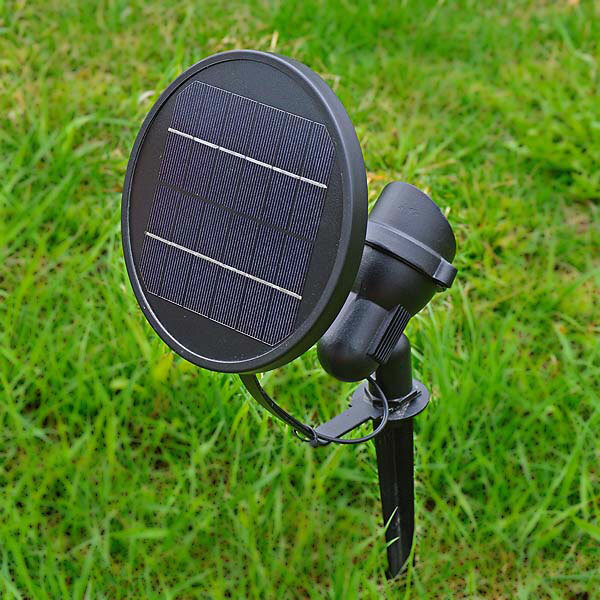 The over-sized solar panel can be rotated side to side and the arm bent up or down to get best possible solar collection to charge the battery. Fully charges in just 4.5 hours of direct sunshine. Learn more about SPOTLIGHT and order yours today!